How to delete survey responses from my account? 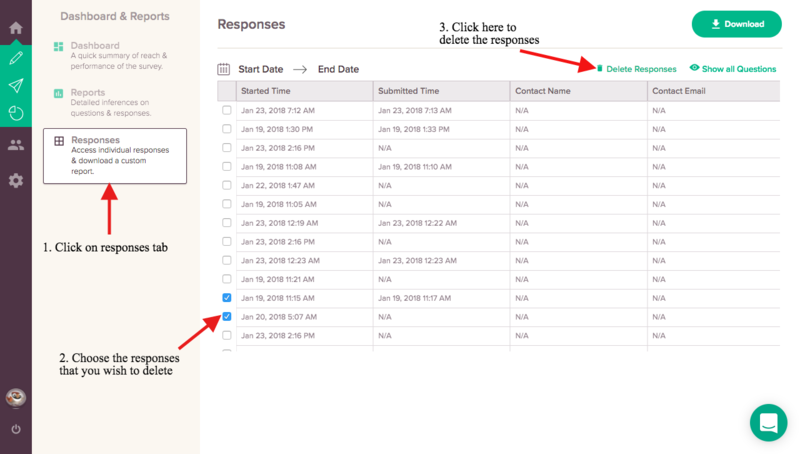 Deleting survey responses gives you the ability to remove unwanted responses from your survey. You can also test your survey responses and delete it before sending out, the live survey to your audience.